Exquisite Master Class yesterday with our completely awesome client, CincoJotas (the most exclusive acorn-fed 100% Iberian ham in the world), at BouleyBotanical in NYC, the urban farm events space awash in fresh herbs and greenery. 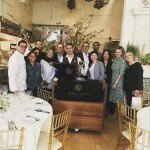 The event was held at the stunning Bouley Botanical in TriBeCa, a living events space designed to excite all five senses. This master class focused on seasonal recipes made with Cinco Jotas ham, and was followed by a stunning three-course lunch with two wine pairings. 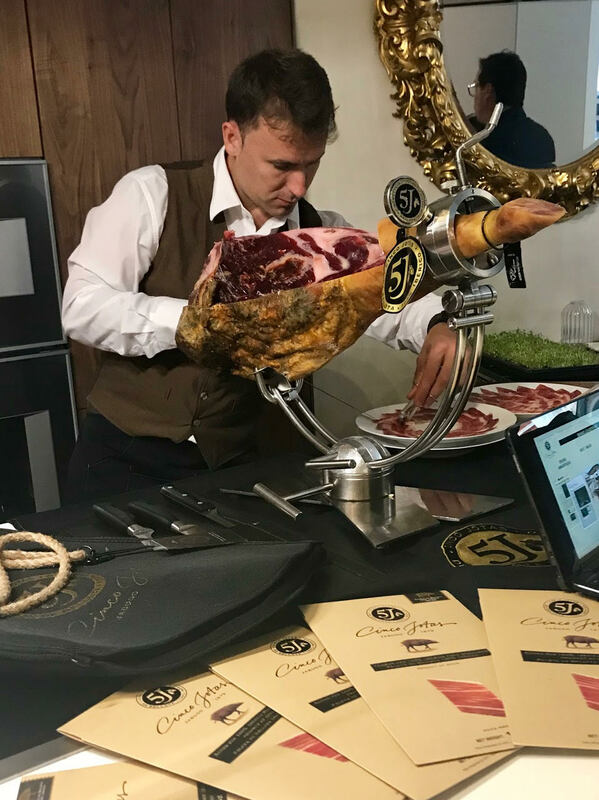 Guests enjoyed a master carver demonstration as the skilled artisan talked through how to properly carve a full leg of ham, and described the distinct value and varied experience of cuts from different parts of the ham. During this in-depth demonstration guests had an opportunity to ask questions about seasonal recipes with Cinco Jotas, the skills and techniques required, and details about the health benefits of eating jamón ibérico. These cooking classes – which will be held on a regular basis – have a healthy, clean-eating focus, using pure and organic foods known for their added health benefits, and Cinco Jotas fits right in. Deep thanks to hosts David Bouley, Chef Dani, and Joseba, the master sales rep for the USA.